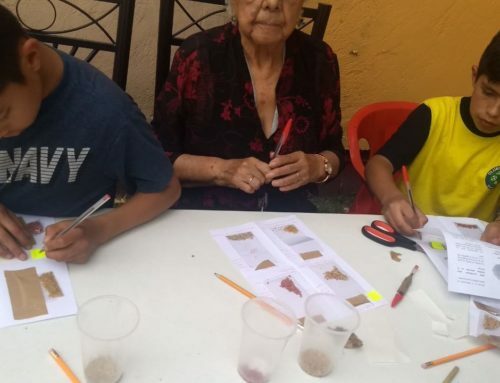 For the third time, the children from the foster home Casa Paidi visited the elder grannies from Casa Betti for their next “Germinating Ties”. 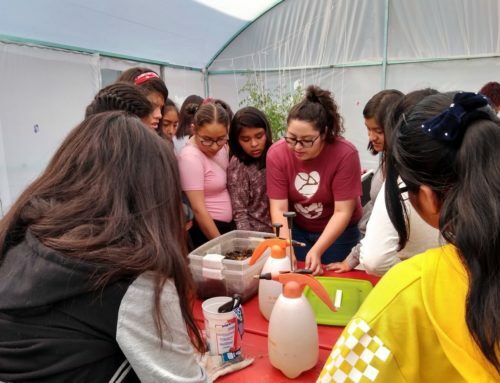 This time they had the “Eco-techniques Workshop” with plastic bottles, given by the team of OLAKAC. Upon arrival, the first thing the children did was effusively greet them hello with hugs and kisses. 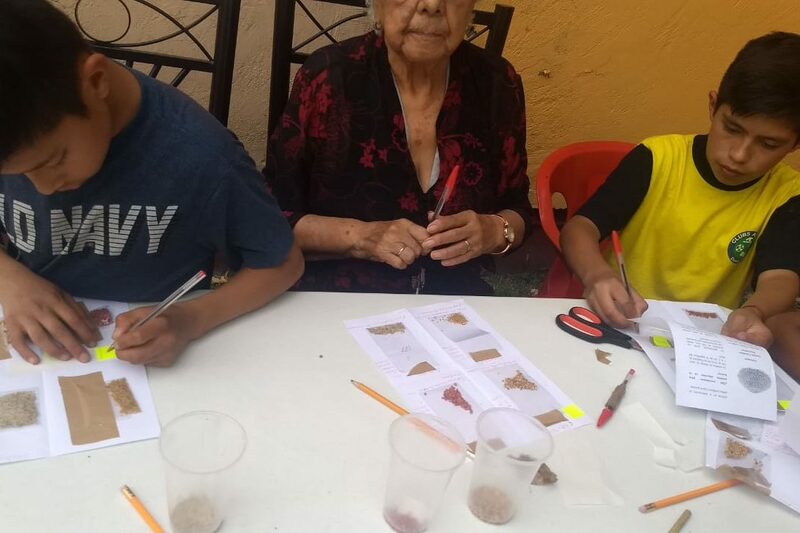 Then they proceeded to the first part of the activities of this event, which is to engage in the caring tasks of the orchard “La Huerta de Casa Betti” by observing what the plants might need. Both the kids and the grannies watered the plants and removed some unnecessary weeds. 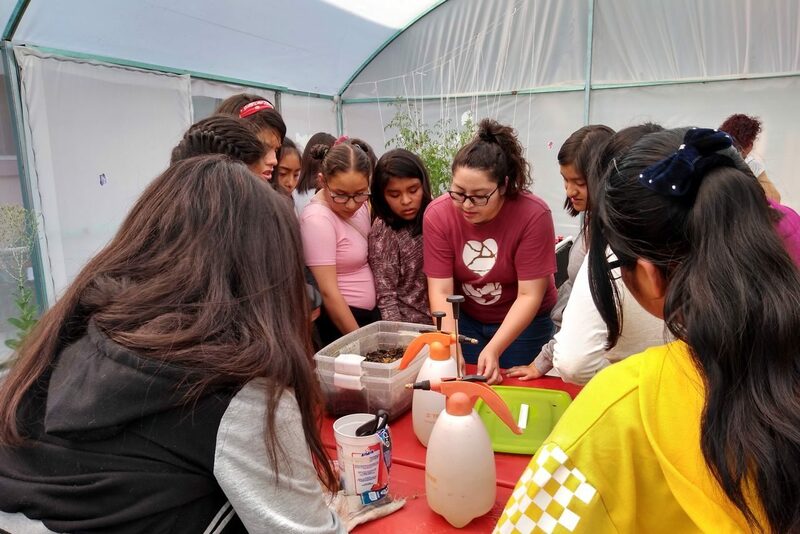 When they were done with this, they formed three teams-tables where they could find empty plastic bottles of liquid soap that they will learn to convert into new useful objects. With the help of our volunteers Montse and Jorge, who only a few months ago were our “social service students” but they still like to join us for GTBAs, some cutters, scissors, markers and a printed guide, we transformed the “trash” into pen-holders, sunglass cases, paper-keepers and more. 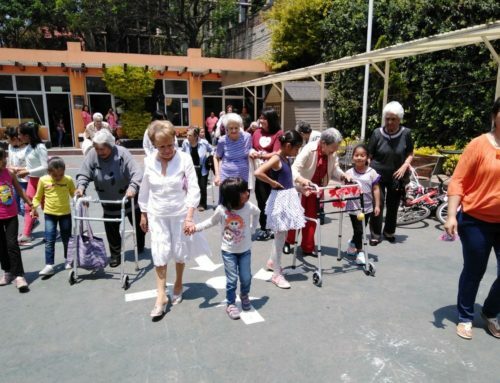 To the surprise of the grandmas, when the activity was done the kids told them they had prepared a surprise choreography of the song “Life is a Vals” from Diego Torres, dedicated to them. 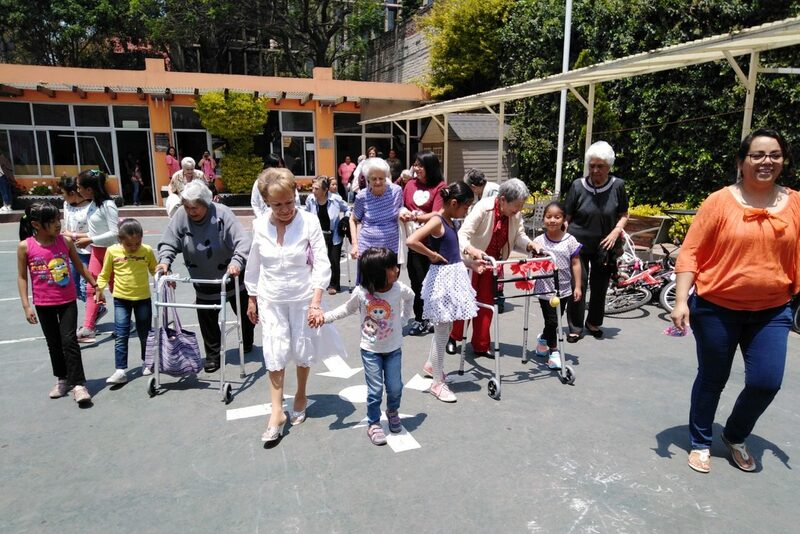 The grandmas and the volunteers cheered along and danced with them on the second round as the kids energetically sang and danced together their song. The second surprise was the arrival of Dr. Kluger with roses for the elder ladies and a piece of candy for each kid. We all concluded that Germinating Ties very moved by this wonderful surprise from the kids and the demonstrations of respect and affection that they showed each other. They parted ways moaning about staying longer and looking forward to their next encounter.